Mink Chocolates produces an award-winning line of artisanal chocolate, which they sell through their cafes and online e-commerce store. 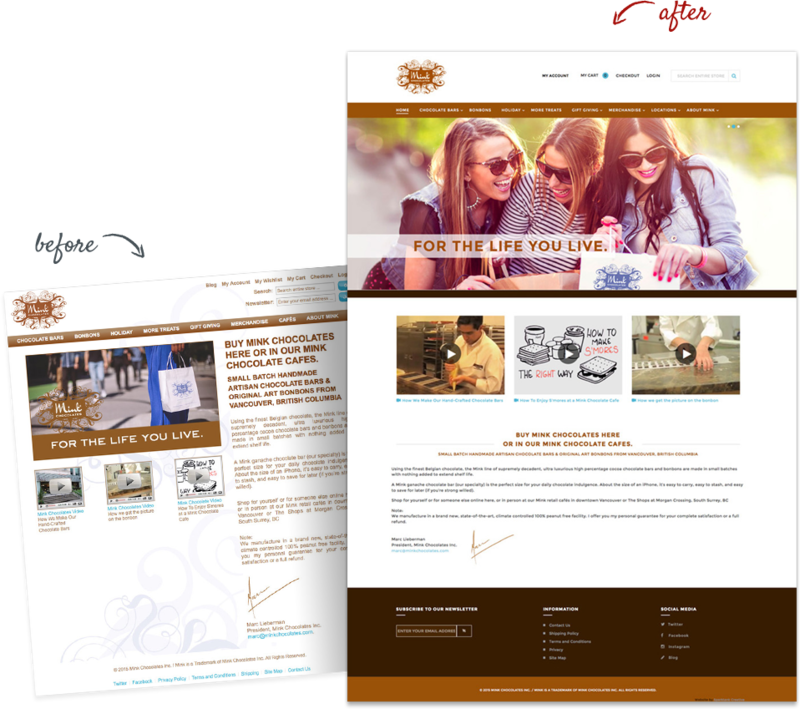 With a website that hadn’t been redesigned in several years and with an ambition to push forward with their online presence, Mink Chocolates asked Sparktank to update the look of their franchise website and improve their online marketing. As the website hadn’t been updated for quite some time, it lacked visual appeal and didn’t mirror the high-end, designer image of the stores. We needed to emulate the luxurious lifestyle choice that chocolate offers, depicting those special moments in life with family and friends. We also made the layout more user friendly and better showcased the products with larger images. Before the updates, Mink Chocolates wasn’t optimized for mobile devices such as phones and tablets, and with nearly 50% of e-commerce traffic coming from these sources, many potential leads were passing by the wayside. To shop online and to make customer access easy, we needed to make the website fully responsive to these devices. 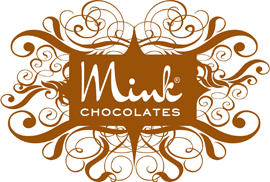 Mink Chocolates had built a loyal following but they needed a system to capture leads and retain an on-going relationship with potential and existing customers. Email marketing is one of the most effective ways to achieve those goals. We set up an email marketing system with templates for general news as well as for peak sales periods, such as Christmas, Easter and Valentine’s Day. The email marketing program provides them with further conversions through new and repeat customers, creating stronger brand loyalty. Mink plans to build on the success of the work we've done to further ramp up their marketing and grow the franchise. A fully-integrated marketing program: This will add further strength to their Search Engine Optimization (SEO) campaigns, with great emphasis placed on local marketing - a fundamental element to their franchise business. We'll add them to directory listings such as Yelp and other important sites and develop a positive online reviews program, which is particularly imperative in the food industry. Leads generated would then be provided with relevant direct mail. A franchisee recruitment website: To help them add to their franchise locations and to new franchisees, we'll develop a full franchisee recruitment website. It will also benefit from a follow-up system that will allow them to jump straight onto any inquiries generated. Please accept my heartfelt thanks to you and your team. I’m thrilled with the results. Thanks for bringing me into the modern age! 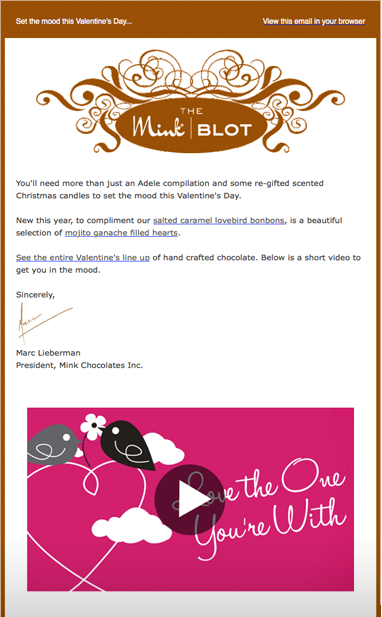 Marc Lieberman, President, Mink Chocolates Inc.